In the surroundings of “Ta’ l-Ingieret” area there stands a home for the elderly that in 1940 was given the name of “Saint Vincent de Paul Hospital”. During the Seventies it was named “Has-Serh” and in the late Eighties it was once again given its original name of St. Vincent de Paul. The whole project was launched in 1862 by Sir Gasparre Le Merchant, the then governor of the Maltese Islands, and was completed several years after, let alone the various refurbishments and additional wards which the complex undertook at different stages. A vast range of designs was submitted for the realization of the Governor’s plans and intentions. The choice fell upon Architect’s T. H. Wyatt’s design. The first sum of money earmarked for this project was approved when these islands were administered by Governor Sir J. A. Linton Simmons. 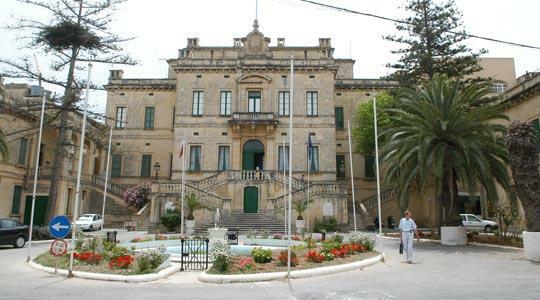 Such a measure was condiucive to engage engineer E. Galizia for the construction of the project which had its foundation stone laid in June 1886. The site chosen was that not too far from the Cawsli Valley. Some 1, 500 workers were engaged on the project at its initial stages, whereas the expenditure amounted to some Lm60,000. The whole complex together with the surrounding fields is spread over an area of 133,730 sq. yards. The building is made up of two wings. The one on the left houses the male patients, whereas the wing on the right shelters the female patients, whilst the central area harbours the administration block. Lately the Hospital has been renovated and enlarged to incorporate new wards to the always increasing number of residents and provide a better service.